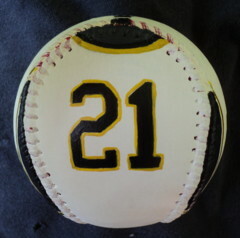 This Legends Roberto Clemente Jersey Baseball features my original paintings. This Baseball Has Been Sold. Order A Baseball Just Like This Below. 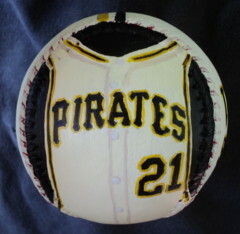 Side one is my painting of the front of Roberto Clemente's old style, 1960's Pirates jersey. 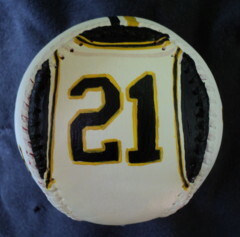 The reverse side has my painting of the back of Clemente's old style jersey. 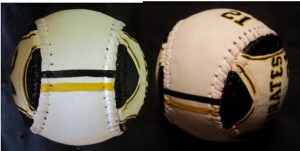 The bottom of the baseball shows the old style belt. Side three has the front of Roberto's new style, 1970's Pirates jersey. 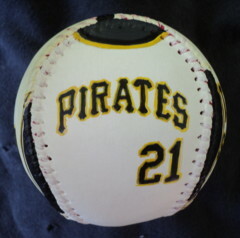 The reverse side has the back of Clemente's new style jersey. The bottom of the baseball, shows the belt line Roberto's new style jersey. 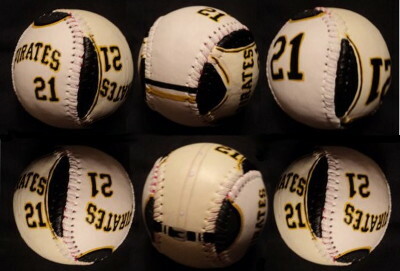 Contact Me To Purchase This Baseball or click on the Add To Cart button to use your credit card and Pay Pal.